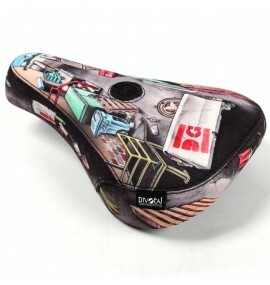 The Fluxus range is aimed at those getting into BMX racing. All the bikes in the range have a frame geometry that has been made to suit a rider of that age and all components have been sized correctly for the same reason. You won’t find a better bike at this price point to get you started on the race track. New for 2019 you will find an upgraded frame with integrated headset revised performance geometry, tapered forks, updated handlebar geometry and a lightweight stem.